Veronica Robles Cultural Center (VROCC) a non-profit organization based in East Boston, MA, the Mexican community in New England and friends of Mexico invite you to join us on this effort to raise funds to directly help families affected by the earthquakes in Oaxaca and other rural areas. Your donations is tax-deductible. Early this year VROCC President Mr. Lopez conducted an assesment visit to Guamucil with the goal of forming a community board with local elders to help decided what would be the best way to help this community after the eathquakes. On this visit the board was succesfully formed and the land to build a center was secured. After several meetings the board approved to build an branch of the Veronica Robles Cultural Center that will also be used as shelter in case of emergencies. The center will provide educational, academic and cultural programas for adults, children and youth to help better their lives. 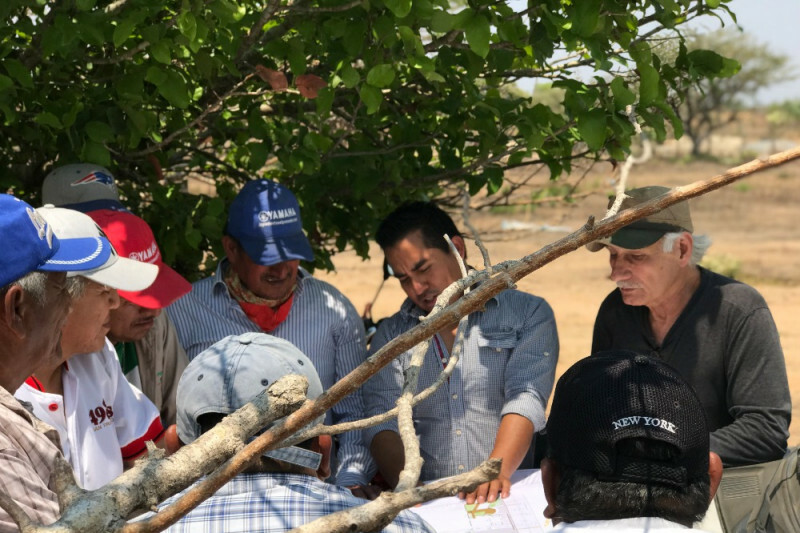 Mr. Lopez returned to Guamuchil in April to hire architech to design the center, plan the construction and make a research and esstimate the costs of material and labor. We are now planning the 3rd visit to start the construction and we will provide details of this project shorthly. If you want to volunteer on the logistics, organazing, coordinating, building or any other option please reach out to us via email. Please donate!! any amount will make the difference. Si desea ser voluntario en la logística, organizando, costruyendo y/o coordinar a otros voluntarios, favor de comunicarse con nosotros via email.